Projects – Alpha Southwest, Inc.
Below are recent projects we have completed. 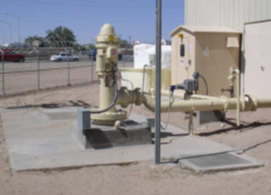 El Paso Water Utility (EPWU) well pump head originally in an underground vault. 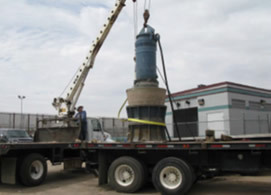 ASW was tasked to raise the well casing and pump head to above ground and tie back into existing utilities. ASW removed, disassembled, inspected, repaired, recoated and reinstalled three 300 HP 60,000 GPM pumps and motors under the Maintenance Contract for EPWU. 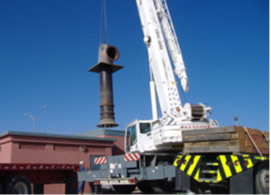 ASW was called to trouble shoot this 350 HP submersible pump. No problems were found with the pump. The problem was with the new electrical panel that was recently built by another contractor. 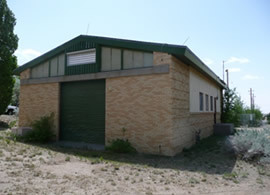 Design Build Facility Rehabilitation - Kiva Pump Station was originally built in 1963. 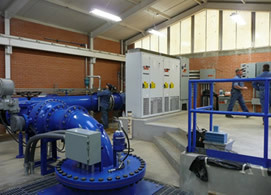 Kiva Pump Station was modernized and now produces a flow rate between 10,000 to 12,000 GPM.